In other news, I was laid off from my job last month, and I’m currently working freelance as a technical writer. Making money again, yay. Crazy schedule, boo, and tough on getting any fiction writing done. But fear not, I’m still writing the second book of the Spirit Mage Saga to get published hopefully some time in the spring. And it’s now out! Amazon (and all its markets), Barnes and Noble, Ibooks, Smashwords, Kobo… well everywhere except for Google, who is being a pain right now. 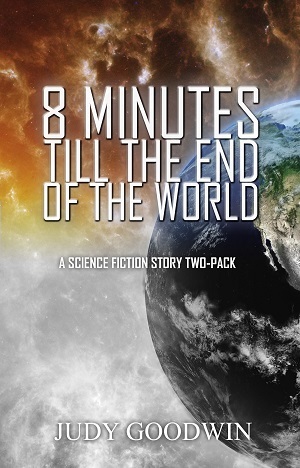 Check out this classic science fiction short story two-pack today! He glanced around nervously and took her by the arm. “This isn’t the place to talk. We can discuss it later, once we’re home.” At the sound of the audience clapping, he frowned. “They’re too narrow-minded. Kitchen shelves! Idiots.” He pulled her over towards the coat rack where several shiny metallic coats hung, including his own. They were leaving before the show even ended? Baby tore her hand away, glaring at him. “I want to hear about the other models. I want to hear what they say.” More than that, she wanted answers to the mystery of what this place was really about. His bushy brows drew together. Father was older, with gray hair and glasses. They looked nothing alike, and yet he had said that she was born of his genetic materials. “Don’t speak back to me. When I say it’s time to go, you obey.” He grabbed her arm again. Out of the corner of her eye, Baby saw Moo returning from the stage. Their eyes met, and he frowned, seeing her struggle. Fear churned in her gut. She’d argued once with Father when he’d told her it was time to get in the cage. He’d struck her across the cheek. The mark had only lasted a day or two, but she never forgot the shame of disappointing him, the anger in his eyes. Moo was walking away. She might not ever get to see him again, or talk to him. Baby squared her shoulders and glared at her father. “Let go of me. You can’t make me go with you. I’m a legal adult now.” She hadn’t ever read an actual law, but she’d read enough to know that adults had rights under the Constitution. It occurred to her that Father might be breaking a law or two with how he was keeping her, now that she was eighteen. New Science Fiction Short Story pack available on Pre-Order! Now available for Pre-order on Amazon and Smashwords! 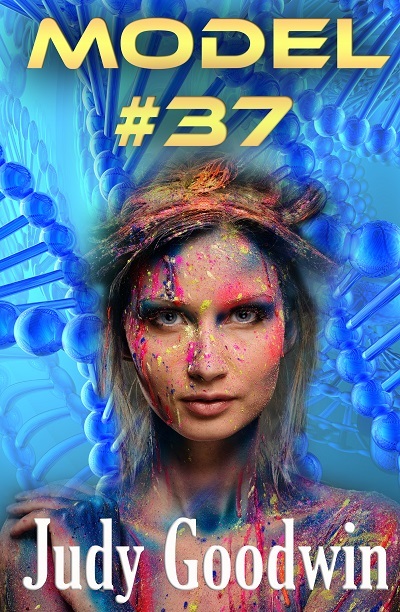 A science fiction short story two-pack, featuring “Model #37” about a genetically enhanced young adult, and “The Nannypod,” about the device that people just can’t live without. This ebook will be out for sale on September 30, 2015. Model #37: Baby has lived a privileged life—her father always said she was “special.” And Baby knows she’s not like normal humans. She’s only 47 inches tall, even though she’s eighteen years old. She can live off tiny amounts of food. And she’s got a dorsal fin in the middle of her back. Baby’s heart lurched as the announcer called her number. She heard people beyond the curtain murmuring to each other, though she couldn’t discern the words. Sixteen years of training had led to this moment. She glanced at her father, breathing hard. She fidgeted, adjusting the sheer bodysuit. It hid enough for modesty, but it felt confining. She didn’t like the open back, exposing her dorsal ridge. Father didn’t have one of those. He said it made her special. “Go!” her father urged, giving her a push. She brushed the curtain out of her way and stepped onto the runway. Lights blinded her, but she’d practiced this over and over. Smile at the people beyond the glare of the lights. Ignore the flash of cameras taking pictures. Walk with confidence down the runway. She moved, forcing herself not to rush despite the pounding of her heart. Keep to the rhythm of the music. “And here’s Dr. Heim’s model, number 37. She’s a little thing, as you can see, but this isn’t dwarfism; she’s perfectly proportioned with no deformities or known genetic defects. Dr. Heim designed her with the group objective of species modification in light of our water and food shortages and increasing global temperature.” The female announcer’s voice blared through the speakers, and Baby wondered what the woman was talking about. She was specially bred, that was true. Father had told her so. And she knew she was smaller than others, than the true humans. But group objectives? What group objective? She reached the end of the runway and gave a twirl in the white body suit, smiling at those in the front row. Men and women of different ethnicities looked her over critically, jotting things down into their tablets. Several took pictures of her, reporters, possibly. Not one returned her smile. Baby tried to keep the fear at bay. Did they like her? “What is her exact height?” One fellow asked, raising a pen. Baby was nearing the end of her walk, almost back to the curtains. The questions bewildered her—what discrimination? And why? She’d lived her entire life in a facility with others like her. Some were human; others were four-legged animals, dogs, sheep, even a pig. All of them had modifications, to make them special. Like her. That she could not stand for. “I’m not a child!” Baby said. Her voice didn’t sound childlike; it earned surprised looks from several of those closest. She looked to her father, but he frowned and shook his head, then made a gesture for her to go backstage. Shooting the fellow a glare, Baby pivoted and exited through the curtains. Baby nearly ran into the next model, a tall thin thing with blue skin and gills, wearing some kind of apparatus that supplied it with water to breathe. It wore a tiny bikini Baby would be horrified to wear. Baby ducked out of the way and stood off to the side, waiting for her father to return backstage. She’d known about the voting. But it seemed there was much her father hadn’t told her. When she looked at the other models milling around, Baby saw them with new eyes. A model with dark brown skin shifted her stance, and Baby realized her skin was scaly like a snake. Another model, this one a tall, strong-looking fellow, had tiny horns on his forehead. He chewed gum sleepily, leaning against the wall. She walked over to him. He smelled of grass and something else, something she’d never smelled before. The closest she could describe it was ‘male.’ “What’s your name?” she asked, hoping that since her part was over, she’d be able to enjoy herself a little before Father returned. The young man scraped the toe of his boot along the wooden floor, looking down as he answered. Brown hair fell into his face. “They call me Moo.” She couldn’t tell by the dim lighting, but Baby suspected he was blushing. “Moo? That’s an odd name. Why do they call you that?” Baby knew why Father called her Baby. She was his baby. He’d told her that nothing fit better. He loved her. He’d even given her a rag doll to hold when he locked her in her pen at night. Moo rocked back and forth, holding himself. He swallowed whatever he was chewing. “I’m part bull. So…Moo.” He didn’t seem particularly happy about it. “Is that why you have horns?” She reached up to touch one. “Well that’s stupid,” Baby said, pouting. No one had ever questioned her intellect before. She could speak and read four different languages, and Father said her math skills were exceptional. She only wished more of her education had come from something other than books. He hadn’t even allowed her to watch TV, though he’d told her about it. “So where is your parent?” She glanced around, but most of the people backstage were like them, unusual mixtures of genetic material. She noticed the security guards wearing utility belts with things like handcuffs and batons. That struck her. Why would the models need security guards? Baby studied his eyes, noticing for the first time that his pupils were abnormally large. She admired his eyes. She couldn’t explain why. “Why don’t you like them?” She hadn’t liked the tone of the announcer. Perhaps that was it. Scaly Girl threw them a dirty look. “They don’t showcase our skills. It’s a bloody waste of time. Just a media circus to make the politicians happy, that the scientists are thinking up something as the world goes to hell.” Baby blinked at the thick Australian accent, but even as she opened her mouth to ask a question, the girl turned away again, ignoring them. “I want to run. I want to escape,” he told her. At first she thought he was joking. By the fear in his eyes, however, she realized he meant it.